STOCKHOLM (Reuters) - Sweden's Economic Crime Authority (EBM) widened its Swedbank investigation to include suspected fraud following a raid on Wednesday on the Swedish bank's headquarters in an inquiry into its handling of money laundering allegations. "The information paints a picture of Swedbank appearing to have spread misleading information to the public and the market about what the bank knew about suspected money laundering within Swedbank in the Baltic States," the EBM said in a statement. "This has been a very tough day for Swedbank, our employees and our shareholders. We will cooperate with EBM (Economic Crime Authority) and we await the conclusions of the authority," she said in a statement. SVT said the DFS had written to Swedbank on Feb. 20 to say it was looking into seven separate matters. The DFS and Sweden's financial watchdog declined to comment. "Swedbank believes that it has been truthful and accurate in its communications with all government authorities," said Bonnesen who oversaw the bank's anti-money laundering policy between 2009 and 2011 before heading its Baltic operations. Bonnesen has repeatedly said she has confidence in the lender's anti-money laundering procedures and that the bank reported suspicious transactions to authorities. But in recent days investors have criticised Swedbank's handling of the issue, setting up a showdown with management at its annual general meeting on Thursday. Swedbank, whose shares closed down 11.9 percent, has lost more than a quarter of its stock market value since being linked with Danske Bank, whose Estonian branch was used for as much as 200 billion euros (£170 billion) of suspicious payments between 2007 and 2015. 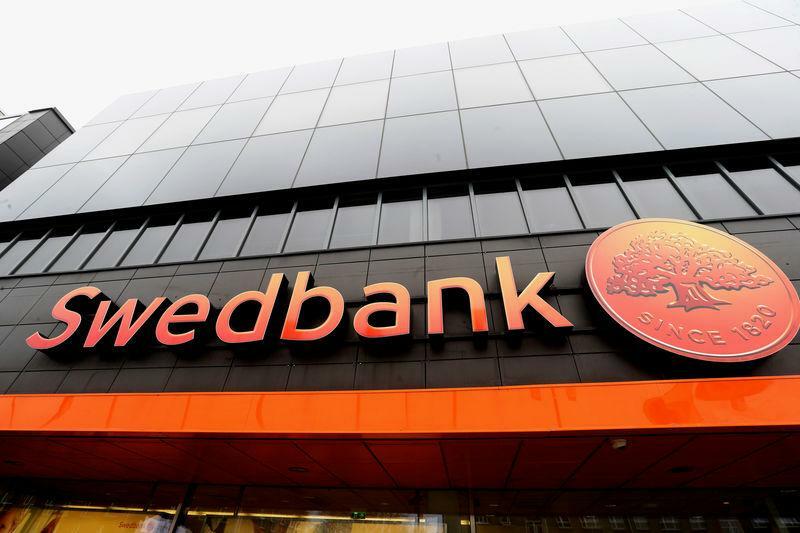 Regulators in Sweden, Estonia, Latvia and Lithuania began a joint investigation into Swedbank after SVT in February reported allegations that at least 40 billion Swedish crowns (£3.3 billion) in suspicious transactions took place between Swedbank and Danske Bank's Baltic accounts. Sweden's EBM said the head office search was part of its inquiry into whether Swedbank breached insider trading regulations by informing major shareholders about SVT's initial report before the information was made public. Swedbank's third largest shareholder Alecta welcomed the EBM's move, saying in a statement that "facts are needed". Bill Browder, an investor who campaigns to expose money laundering, has filed a separate criminal complaint with Swedish authorities and SVT previously reported that internal documents show Swedbank's board knew it had missed suspicious transactions but failed to take corrective action.